Working in groups, students learn to navigate a virtual globe, read geophysical data, and assess plate tectonic models. They prepare by studying about plate tectonics from their notes or from the text, and then apply that knowledge to real tectonic settings on the virtual globe. 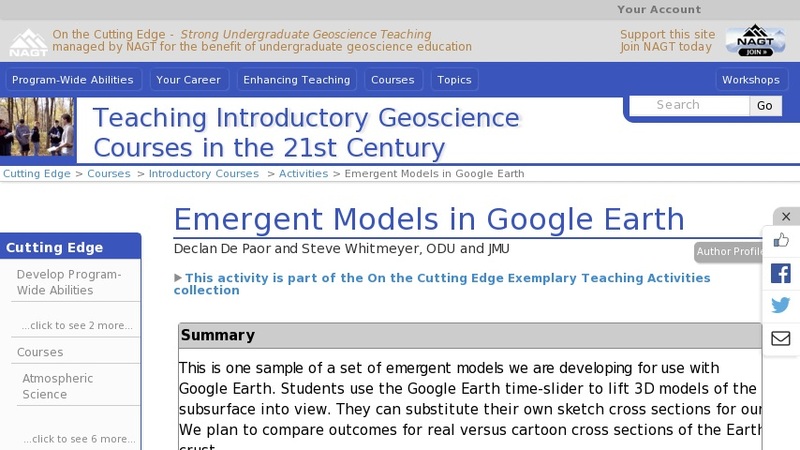 Students drag 3D models out of the subsurface and compare real data to model interpretations. They can also substitute their own sketches for our images.